Car parking charges are to be abolished at NHS hospitals across Scotland, the health secretary has announced. An interim cap of £3 per day has been in place since January. Health Secretary Nicola Sturgeon said the move would help reaffirm the NHS's founding principle of healthcare free at the point of delivery. The move, which takes effect from 31 December, applies to 14 hospitals where fees operate. Charges at three PFI car parks will not be scrapped. 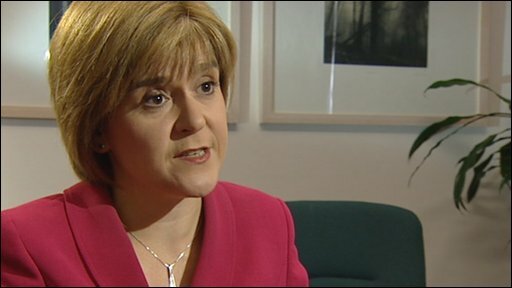 Ms Sturgeon said the long-term nature of the PFI contracts meant that scrapping the charges would be prohibitively expensive. She said she wanted NHS boards to work with contractors at the three hospitals with PFI car parks - at Edinburgh and Glasgow Royal Infirmaries and Ninewells in Dundee - to limit and reduce the charges until the contracts came to an end. Scrapping the charges will cost health boards about £5.5m a year in lost income. The boards will get £1.4m from the Scottish Government in this financial year, but will get no further funding. Ms Sturgeon said: "In this 60th anniversary year of NHS Scotland, I am determined that the founding principles of our health service remain intact. "Chief among these is that the NHS should be free at the point of delivery and it is my firm belief that this should apply whether one comes to hospital as a patient, visitor or a member of staff. "It's simply not fair to expect patients or visitors to have to pay when they come to hospital, when they may be suffering personal anxiety, stress or grief. "Put bluntly, a car parking charge is often the last thing people need." The charges will be scrapped at Aberdeen Royal Infirmary; Dr Gray's Hospital in Elgin; Gartnavel, the Southern General, Stobhill, Yorkhill, the Victoria and Western Infirmaries in Glasgow; Raigmore in Inverness; the Western General and Royal Hospital for Sick Children in Edinburgh; St John's in Livingston; and Perth Royal Infirmary. However, public sector union Unison criticised the decision not to scrap charges at PFI car parks. Glasgow and Clyde branch secretary Cathy Miller said: "No-one agreed with this additional tax on staff, patients and visitors. "But we are angry that the minister seems unwilling to be bold enough to remove charges from PPP-PFI sites. "This decision will create a two-tier system with staff and patients who are unlucky enough to be on a PFI site such as Glasgow Royal Infirmary being charged for the pleasure." The Royal College of Nursing Scotland welcomed the "long overdue" move. Board member Andy Patrick said: "RCN Scotland has run a long-running campaign against charges and we are pleased on behalf of our members, patients and their relatives that the Scottish Government has now decided to take action." Before the abolition takes effect, health boards are being asked to submit their plans on how they will address potential increases in demand, promotion of greener forms of transport and the potential use of spaces by commuters, shoppers or others. These plans will be assessed and monitored by the Scottish Government to ensure that the parking needs of patients, visitors and staff are balanced. Labour MSP Paul Martin said the decision to abolish charges at some hospitals but not others was "deeply unfair". Conservative public health spokesman Jackson Carlaw said the charges had been brought in by the previous Labour/Liberal Democrat administration as a last resort to prevent congestion problems, but had become "a cynical stealth tax". 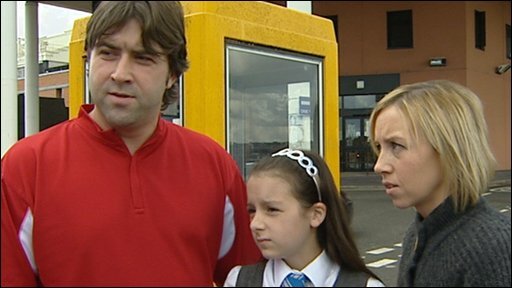 Ross Finnie, the Lib Dem health spokesman, called on Ms Sturgeon to explain in more detail why charges at PFI car parks were not being scrapped. UK Health Minister Ben Bradshaw said he did not believe it was a "sensible use of limited resources" to subsidise car parking at hospitals in England. He added: "Our priority is the safety and speed of healthcare - one of the reasons in England waiting times are shorter. "In England, hospital car parking charges are decided locally by individual trusts to cover the cost of running and maintaining a car park. All trusts should have exemption and concessionary schemes in place to ensure that patients and carers who visit hospital regularly are not disadvantaged. "They should also have sustainable public transport plans in place for staff and visitors."